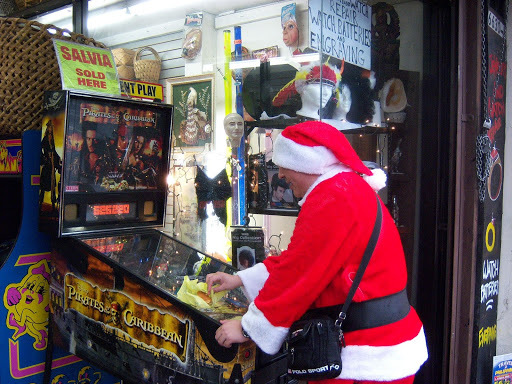 This is a dude dressed as Santa who is eating a sandwich while playing pinball on Hollywood Blvd. You can’t really tell, but it’s also raining. I took these on Saturday after we did an improv class at Second City for Paul’s Birthday. It was really fun. You can definitely see why people say improv is good for writers, as you do end up thinking of the most random stuff. 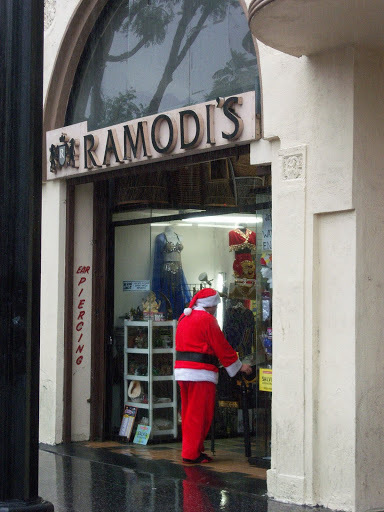 Unfortunately, ongoing glasses are a bit expensive, plus the Hollywood Blvd. location would require an additional ten bucks for parking every time. After I took these pics, we went to ice-cream, then back to our car which had a flat tire. So we changed the tire in the rain to find out that the spare tire was also flat. But you know what, it was still fun. We didn’t have to change the tire, we could have called AAA.